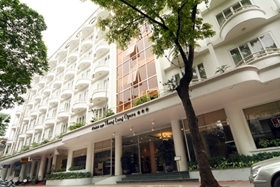 Flower Hotel is a three star hotel which locates in the heart of Hanoi. 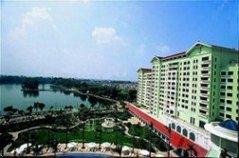 It is within walking distance from the city centre and tourist attractions such as Restored Sword Lake, West Lake and the Red River. Hong Ngoc Hotel is located in the middle of Hanoi capital city's ancient streets. 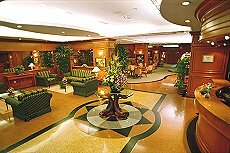 It is nearby the banking, diplomatic and public office centers, extremely convenient for activities of businessmen and travelers. Thang Long Opera Hotel is ideally located in the center of commercial, financial and banking installations of Hanoi, and it takes only three minutes to Hanoi Opera House and five minutes working from the Hoan Kiem lake or Hanoi Old Quarter . The hotel equips with all imported luxury facilities. With its French style and marvelous architecture, the newly built Majestic Salute is a majestic boutique hotel located in the Ancient Quarter . Hoa Binh Hotel is a 3-star hotel situated in the heart of Hanoi. It is a nice and charming French architectural building since 1926. It provides spacious guest rooms and suites with majestic ceilings and windows. Located in the heart of the city, only 10-minutes to Hoan Kiem Lake and Dong Xuan traditional market. Located in the most ancient part of Hanoi - the capital of the Vietnam, Flower Garden Hotel offers you an exquisite stay in an elegant and stylish environment. The Moevenpick Hotel Hanoi is a truly boutique styled business hotel in the very heart of the commercial and diplomatic districts of Hanoi. It is located in Ly Thuong Kiet Street and assures easy access to UN offices, embassies, numerous foreign representative offices and government offices. The five star hotel is located in a prime and fast expanding area of Hanoi and bordered by Cat Linh Street and Giang Vo Street assuring easy access to Embassies and Government Offices, Commercial Institutions, Tourist Attractions and nearby Giang Vo Exhibition Centre. The new Intercontinental Westlake Hanoi overlooks the 800-year-old Golden Lotus Pagoda on Hanoi's largest lake. This is the only hotel in Vietnam to be featured on "Condé Nast Traveler's" prestigious 2008 Hot List, garnering the honour for our "sublime" waterfront locale. Boasting premier views of West Lake, Truc Bach Lake and the Red River, Sofitel Plaza Hanoi soars 20 storeys above the city. The Sofitel Metropole Hanoi is an award-winning French colonial-style hotel lying in the heart of Hanoi, near Hoan Kiem Lake and the magnificent Opera House. With its superb location and full service catered to the highest standard, the Hanoi Daewoo Hotel has built a very strong brand name as the most luxurious hotel in Vietnam. 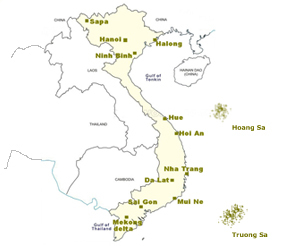 The Hanoi Daewoo features the most modern and diverse range of facilities and services in Hanoi.